“The sky is falling! The sky is falling!” Health and Human Services Secretary Kathleen Sebelius dodged remarks about Chicken Little and The Wizard of Oz as she apologized for the botched Obamacare website rollout Wednesday. During a hearing before the House Energy and Commerce Committee, she directly admitted that the Affordable Care Act’s Healthcare.gov introduction was a huge problem. 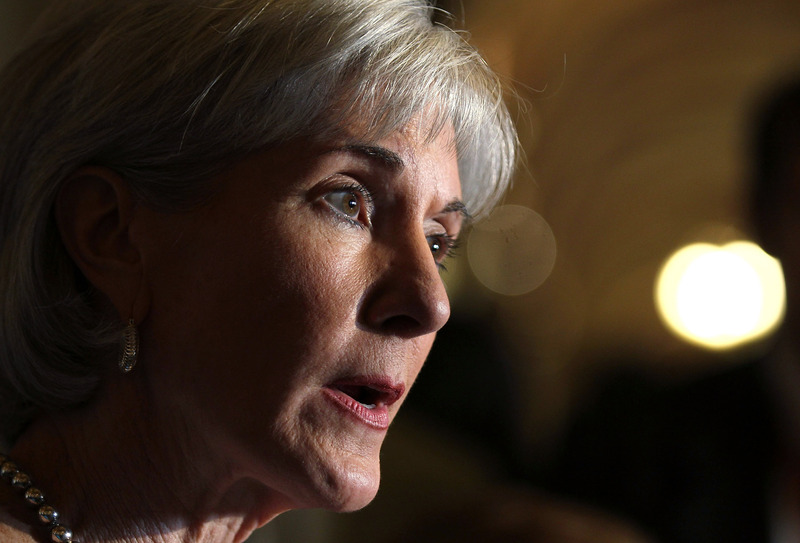 Two weeks was “clearly not” enough testing time for the website, Sebelius says. Sebelius repeatedly answered many similar questions from Republicans and frequently had to circle back to the core aspects of Obamacare, including the fact that people are able to keep their own existing health care. And there was a question about abortion — because why not? Rep. John Shimkus (R-Ill.) asked Sebelius, "If someone, a constituent of mine or someone in this country has strongly held pro-life views, can you commit to us to make sure that the federal exchanges that offer that are clearly identified so people can understand if they're going to buy a policy that has abortion coverage or not?" In the midst of the question, a woman's voice can be heard muttering, "Oh, here we go." Sebelius paused, then says, "I will check and make sure that is clearly identifiable." In terms of the site's glitches, Sebelius made it a point to say, “The website has never crashed.” However, it does operate at a very slow rate and has low functionality, she says. But CNN reports that on Wednesday morning, many users were still blocked from submitting new applications or searching for insurance plans (irony! ), informing users, "The system is down at the moment." (Healthcare.gov seemed to be up again as of Wednesday at 10:15 a.m. EST.) Also, people were unable to apply for coverage on Sunday, which was traced back to Verizon, which powers some of the technology behind the website. One group that doesn't mind waiting for all the glitches to be fixed and debates to be over? Those selfie-obsessed Millenials, duh. This is hardly surprising, as the shortcomings of the Healthcare.gov website do not equate to a failure of the ACA as a whole, which is set to be fully implemented in 2014. Furthermore, millions of millennials are benefiting from other provisions of the law that have already taken effect, such as the ability to remain on a parent's insurance plan until age 26 and the guarantee that insurance companies cannot deny coverage to individuals with pre-existing conditions. Interestingly, however, more Millenials approve of Obamacare than the president himself. According to a Gallup poll, 51 percent of people ages 18-29 give the Affordable Care Act a thumbs up, while 45 percent support his job performance. "Perhaps politicians should shift their focus away from calls to repeal or replace Obamacare, and instead tap into millennials' disappointment over President Obama's unfulfilled promises on jobs, the economy, education, immigration, and government transparency," writes Swathi Nallapa. Despite the brouhaha over the ACA, Sebelius says she thinks the site will be mostly functional at the end of November.